Schuco Piccolo Volkswagen Bus Nordlichter Scale Model. 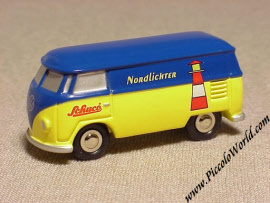 Issued in July 2000, this Bus is was made for the Nordlichter Schuco collectors club. The total issue was 2,000 pcs of which 500 pcs went to members of the club. 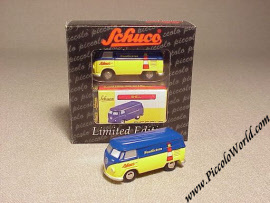 The remaining 1,500 pcs went to the specialist toy trade. Please note: For the top picture, we used TWO (2) models. The advertised price is for ONE (1) model only.